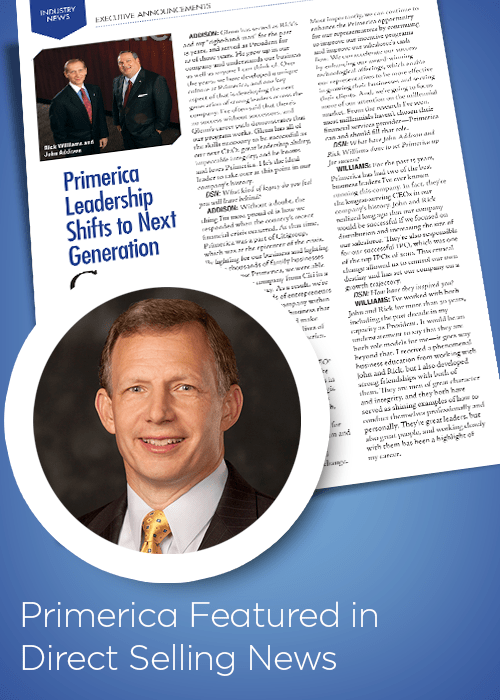 Direct Selling News recently interviewed incoming CEO Glenn Williams and current co-CEO John Addison to discuss “the succession process, the legacy of the company and its future.” Read the full article here. This entry was posted on Wednesday, March 25th, 2015 at 12:00 am	and is filed under Company, Primerica. You can follow any responses to this entry through the RSS 2.0 feed. You can leave a response, or trackback from your own site.